learning module takes no longer than 5 to 7 minutes to complete allowing learners to integrate learning into their busy work schedule. The app and all learning programmes on the app are free of charge for the learners. travel industry is highly knowledge driven. 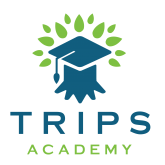 In order to excel, travel professionals must be equipped with high levels of product knowledge, selling and other allied skills’, said Anupama Kotur, Project Head, TripsAcademy.